Willis H. Ware, a highly respected and admired pioneer in the fields of computing security and privacy, passed away on November 22nd, 2013, aged 93. Born August 31,1920, Mr. Ware received a BSEE from the University of Pennsylvania (1941), and an SM in EE from MIT (1942). He worked on classified radar and IFF (identify friend or foe) electronic systems during WWII. After the war he received his Ph.D. in EE from Princeton University (1951) while working at the Institute for Advanced Studies for John von Neumann, building an early computer system. Upon receiving his Ph.D., Dr. Ware took a position with North American Aviation (now part of Boeing Corporation). After a year, he joined the RAND Corporation (in 1952) where he stayed for the remainder of his career -- 40 more years — and thereafter as an emeritus computer scientist. His first task at RAND was helping to build the "Johnniac," an early computer system. During his career at RAND he advanced to senior leadership positions, eventually becoming the chairman of the Computer Science Department. Willis was influential in many aspects of computing. As an educator, he initiated and taught one of the first computing courses, at UCLA, and wrote some of the field's first textbooks. In professional activities, he was involved in early activities of the ACM, and was the founding president of AFIPS (American Federation of Information Processing Societies). From 1958-1959 he served as chairman of the IRE Group on computers, a forerunner of the current Computer Society of the IEEE. He served as the Vice Chair of IFIP TC 11 from 1985-1994. At the time of his death he was still serving as a member of the EPIC Advisory Board. In 1972, Dr. Ware was tapped to chair the Advisory Committee on Automated Personal Data Systems for the HEW (now HHS) Secretary. That report, and Willis's subsequent paper,"Records, Computers, and the Rights of Citizens," established the first version of the Code of Fair Information Practices. That, in turn, significantly influenced the Privacy Act of 1974, and many subsequent versions of fair information practices. The Privacy Act mandated the creation of the Privacy Protection Study Commission, of which Dr. Ware was vice chair. Willis was the first chairman of the Information System and Privacy Advisory Board, created by the Computer Security Act of 1987. He remained chairman of that board for 11 years following its establishment. Over the years, Dr. Ware served on many other advisory boards, including the US Air Force Scientific Advisory Board, the NSA Scientific Advisory Board, and over 30 National Research Council boards and committees. 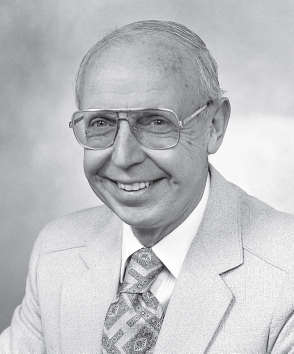 Willis Ware was one of the most honored professionals in computing. He was a Member of the National Academy of Engineering, and was a Fellow of the AAAS, of the IEEE, and of the ACM — perhaps the first person to accrue all four honors. He was a recipient of the IEEE Centennial Medal in 1984, the IEEE Computer Pioneer Award in 1993, and a USAF Exceptional Civilian Service Medal in 1979. He was the recipient of the NIST/NSA National Computer System Security Award in 1989, the IFIP Kristian Beckman Award in 1999, a lifetime achievement award from the Electronic Privacy Information Center (2012), and was inducted into the Cyber Security Hall of Fame in 2013. Dr. Willis H. Ware was truly a pioneer computer scientist, an early innovator in computing education, one of the founders of the field of computer security, and an early proponent of the need to understand appropriate use of computing and the importance of privacy. His dedication to the field and the public interest was both exceptional and seminal. The Rand Corporation posted an in memorium piece on their website. Update 10/26: included acronym expansions of IFF and NCSC, along with links for NCSC and HHS. Added small grammatical corrections. Update 10/29: added the note and link to the Rand Corporation in memorium piece. A source is needed for the Cyber Security Hall of Fame 2013 induction. Beyond his outstanding technical achievements, I will remember Willis as gentle man and balanced intellectual contributor to public policy discussions about computing and society. He contributed to studies, congressional inquiries, agency advisory panels and to the development of institutions devoted to getting the most social benefit from computing. Among other things, he was a proponent of and advisor to the Telecommunications Policy Research program, the Division of Information Science and Technology and CISE at the National Science Foundation all throughout the ‘70s ‘80s and ‘90s. He contributed consistently and significantly in OTA and CSTB at the National Academies. Nice Story and great history for us to know about him.